This was one of my stock ring that was sold 06/07/2018 for $985. 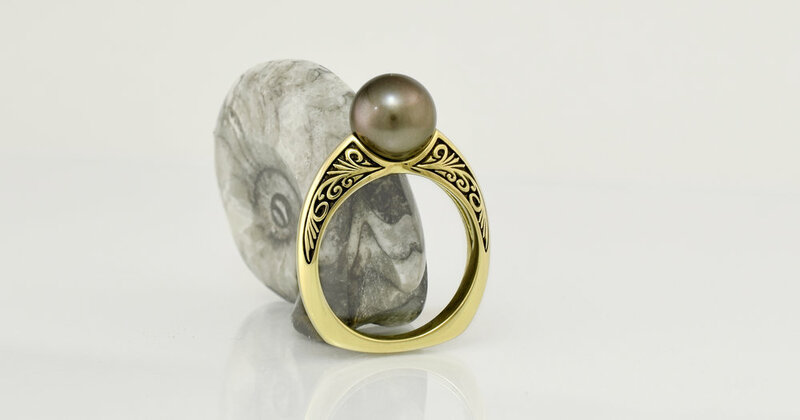 The way that this design hugs the pearl means that it has a limited range of resize. This customer took the ring in the size it was made and after being given it will come back to be remade to the correct finger size. There is no extra cost for this. The time frame to remake the ring to a specific size is usually 1 -2 weeks.